Wave goodbye to hot, sweaty feet. 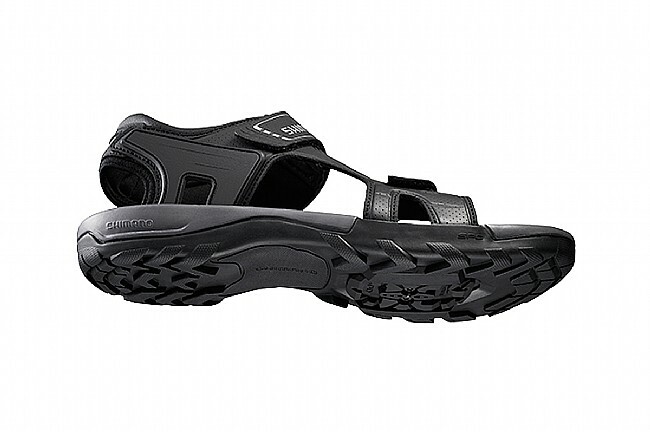 Shimano's SD5 Cycling Sandal combines the best of both worlds: comfort and efficiency. The classic dual strap design features a mesh lined synthetic leather upper to provide a durable upper that wicks away moisture while you ride. 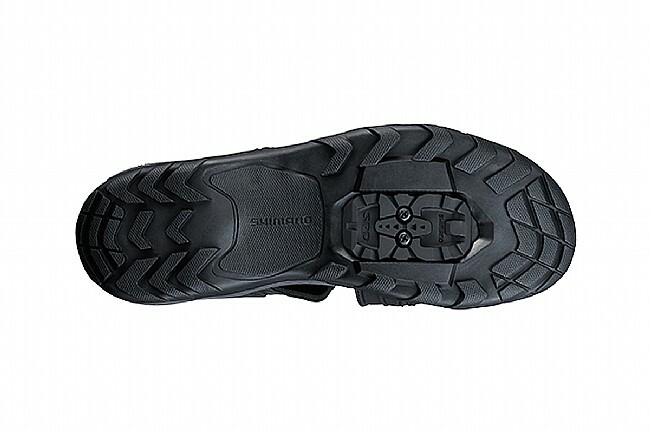 The wide rubber sole houses a glass fiber reinforced shank plate for superior pedaling efficiency for those longer rides, as well as a stable walking platform fit for making laps around the local farmers market. Don't let summer pass by without the classic dual strap design paired with a synthetic upper and moisture controlling mesh. 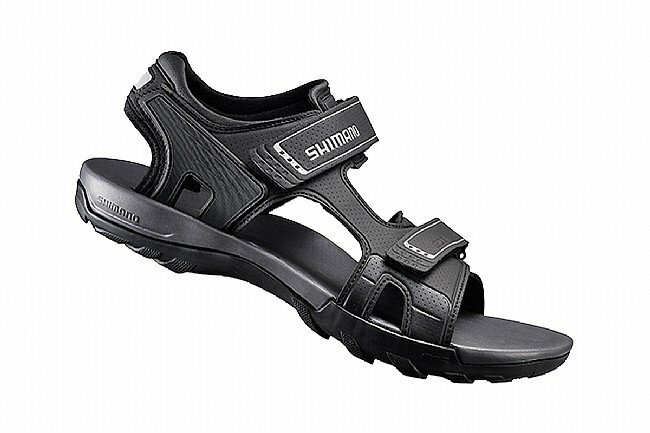 Great cycling sandal but both my wife and I had to order one size smaller than normal to get a good fit. Used for summer sport riding and touring. Performance is good on the bike and they are great to walk in.